Extremely comfortable and luxurious, uniquely modern and gorgeously enhanced by sophisticated retro aesthetics. 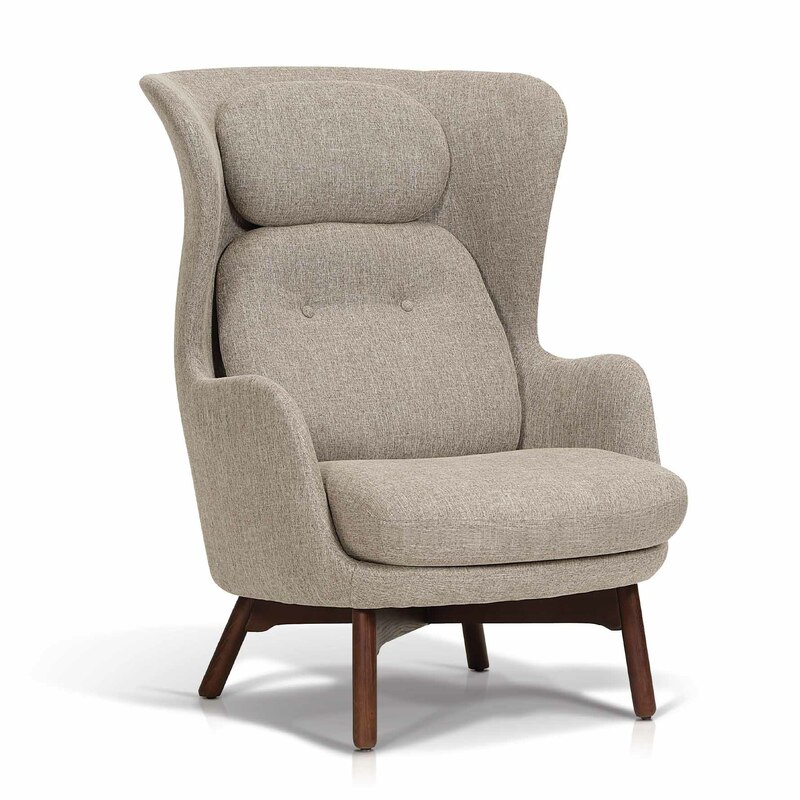 Quirky, hip, this exaggerated wing-back chair has silm-line flared arms and a tulip-shaped back. The plush seat and a generous pillows is ideal for lounging and for long stays. 32" x 40" x 45"